SHOW 'N TELL Avast, Pathfinders it be time for a new Show 'n Tell Showcase! Hear ye, hear ye! 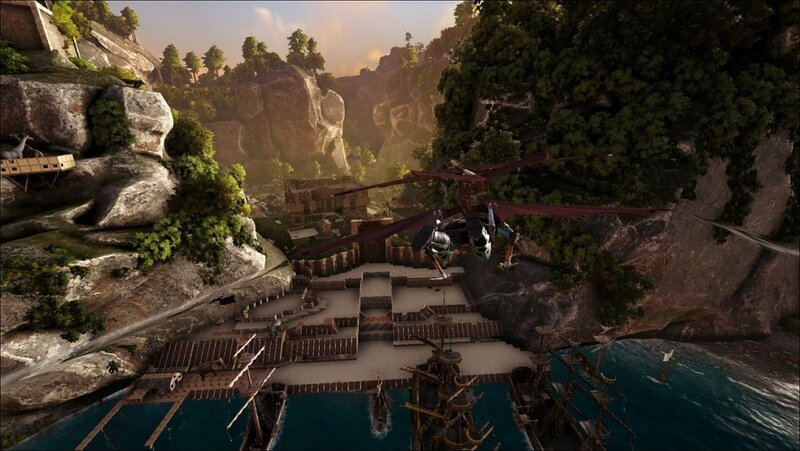 We be treasure huntin' fer the finest of ATLAS community creations! Show us yer mighty fleets, paint pieces, flags & sails, impenetrable forts, hellish tats, scenic screenshots, 'n entertainin' videos! Each week, we'll be runnin' a contest where we'll select th' best o' th' bunch 'n award tha winners wit' a cash prize! Submit your entries in this 'ere thread for us to be viewin'. We’ve created this dedicated thread for submissions. Don’t hesitate to show us what you’ve got. Last week's entries were amazing and we look forward to what you have for us this week! A trio of gliders navigate a canyon with ease This is a friendly contest and not intended as something highly competitive. We'd like to showcase your creations in their many shapes and forms. Submit your entries by Monday the 21st for a chance to fill your chests with some booty!